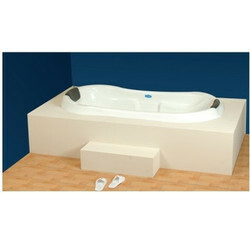 Wholesale Trader of a wide range of products which include oyster bathtub, jaquar bathtub, jaquar free standing bathtub, multisystem jacuzzi bathtub, oyster jacuzzi bathtub and rectangular bathtub. 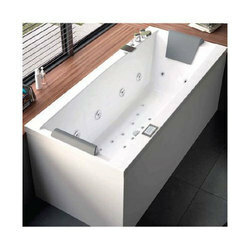 Chhabria & Sons Is one of the best dealers of bathtub with reputed brands such as Jaquar bathtubs and Oyster bathtubs, which comes in different shapes like rectangle bathtub, Semi circled bathtub, square bathtubs, Oval bathtubs and many more to choose from. 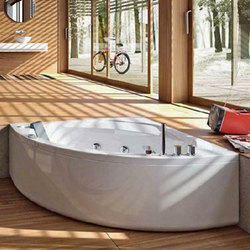 We are among the reputed organizations, deeply engaged in offering an optimum quality range of Jaquar Bathtub. 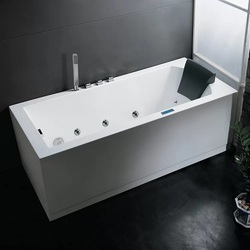 Chhabria & Sons Is one of the best dealers of bathtub with reputed brands such as Jaquar bathtubs which comes in different shapes like rectangle bathtub, Semi circled bathtub, square bathtubs, Oval bathtubs and many more to choose from. 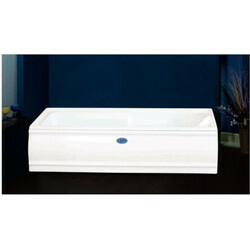 With an objective to fulfill the ever evolving demands of our clients, we are engaged in offering a wide assortment of Oyster Acrylic Bathtub.